The number of controls in the Payment Card Industry Data Security Standard (PCI DSS) is increasing, along with the fines for noncompliance. This 12-page Gartner report is licensed by Dataguise for a limited time only. Complete the short form to access it now. 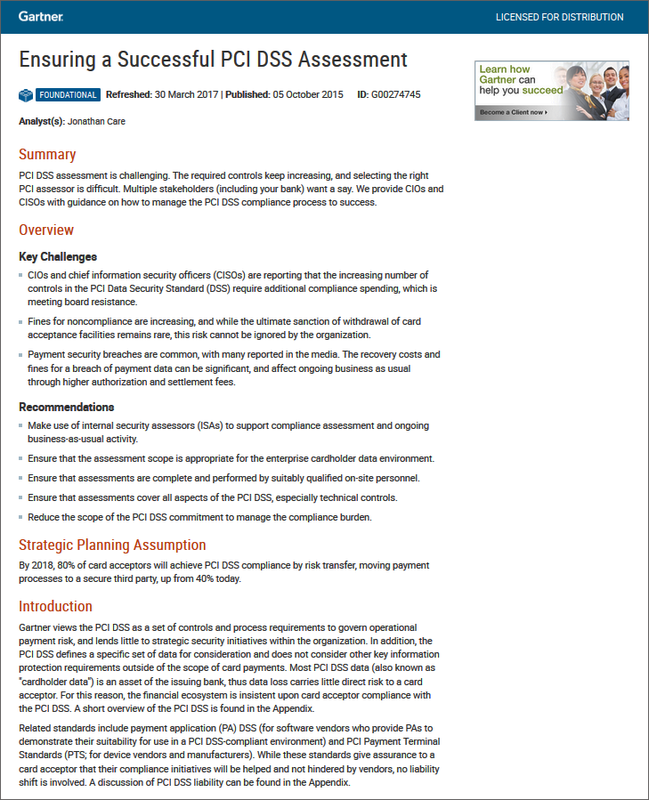 * Gartner, Ensuring a Successful PCI DSS Assessment, Jonathan Care, Refreshed: 30 March 2017 | Published: 5 October 2015. GARTNER is a registered trademark and service mark of Gartner, Inc. and/or its affiliates in the U.S. and internationally, and is used herein with permission. All rights reserved. We're sorry, but this report is no longer being licensed by Dataguise. Gartner clients may access it here. Non-clients can purchase it from Gartner.